Cleveland Wealth is committed to understanding our clients needs, both current and future. 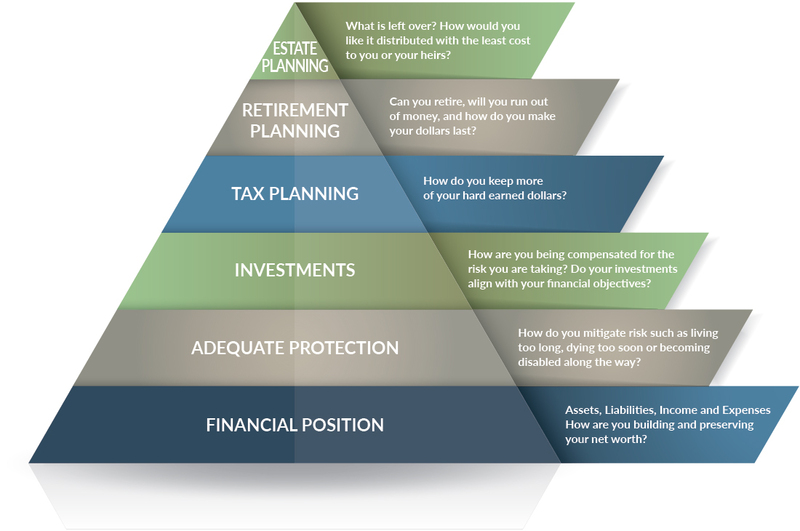 We can assist you in building a comprehensive financial plan that addresses your financial concerns, goals and objectives by assessing the six key areas of your finances – financial position, adequate protection, investments, tax planning, retirement planning and estate planning. By evaluating and addressing all areas collectively, Cleveland Wealth is best equipped to provide recommendations that are truly in your best interest. No matter where you are in life, we can work with you to develop a comprehensive plan with the goal of leading you to a fruitful financial future.